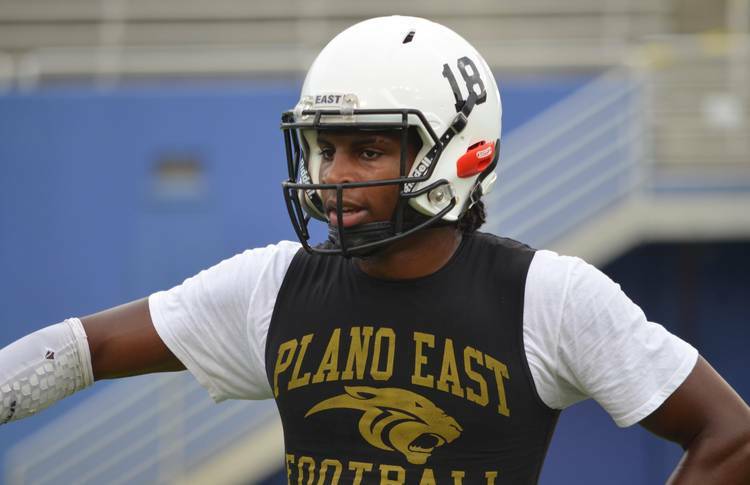 Texas added its 17th pledge of the 2019 class with safety Tyler Owens of Plano East High School on Sunday afternoon. The three-star picked the Longhorns over 14 other offers. He picked up an offer from Tom Herman after a strong performance at the Stars at Night camp on campus over the summer. Owens is the No. 52-ranked safety in the class. He’s the second safety commitment in the class, joining four-star Chris Adimora of California. Owens is raw. The 6-foot-2, 202-pounder is an athletic specimen with physicality. He’s still working on refining his technique, but the tools are there for Texas safety coach Craig Naivar to mold Owens into a physical safety capable of playing strong safety or on the boundary. With the safety class in 2018 already showing promise, a guy like Owens should be provided the appropriate time to develop before being thrust into action. Texas hopes to sign at least one more member in the secondary to join its current duo of cornerback and safety commits. The top target remaining on the board is Jalen Catalon, a four-star athlete from Mansfield Legacy. Catalon was injured in the first game of the season and won’t return during his senior year. He hopes to play baseball and football in college. Texas likes Catalon as a future nickel corner.